Britt learns what it’s like to be a flight nurse in the unforgiving and confined environment of a Med Evac Helicopter. Our visit to Cleveland was a little crazy (with two cancelled flights), a little overwhelming, and incredibly interesting! 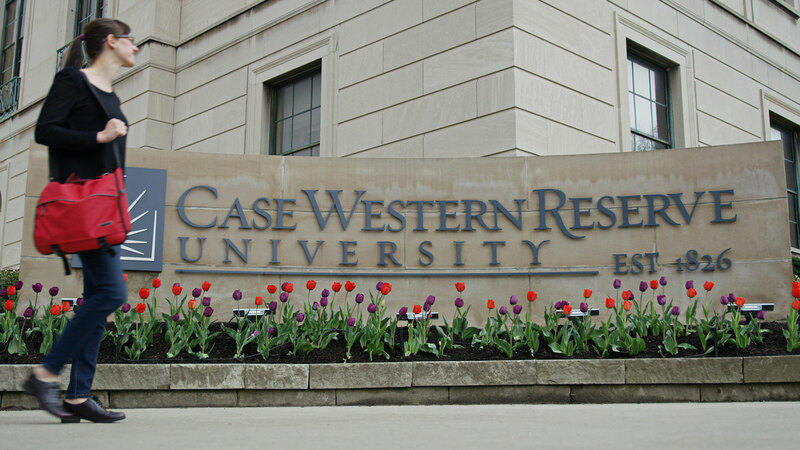 After arriving a week later than planned, we finally made it to Case Western Reserve University in Cleveland. 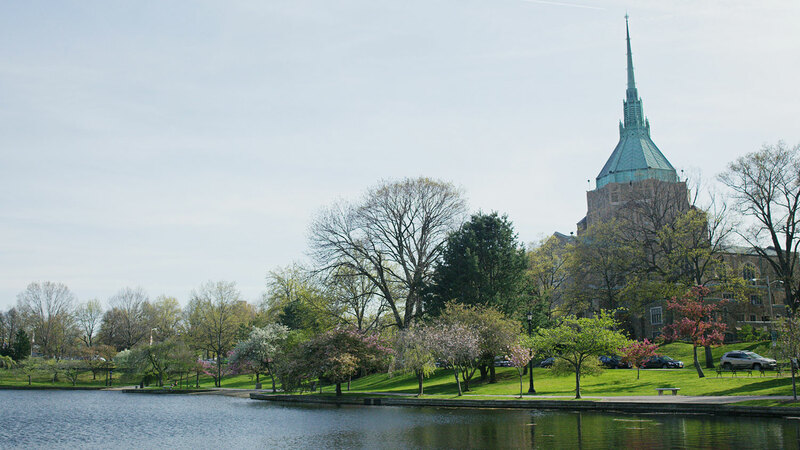 The University’s nursing program is one of the best in the country. 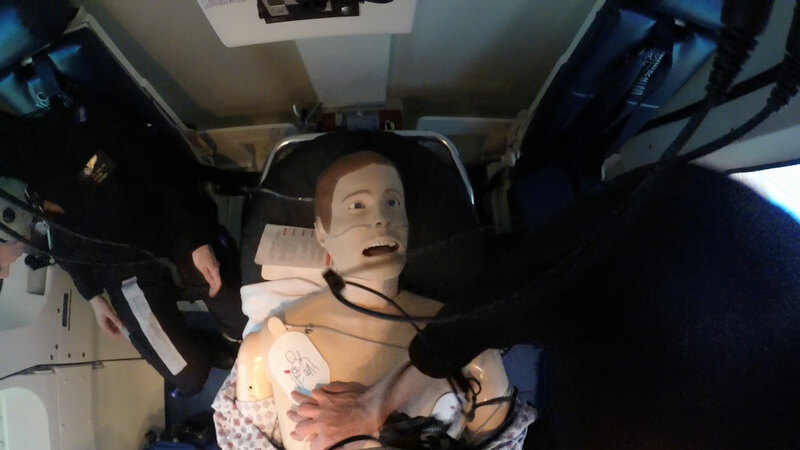 They have a one-of-a-kind full motion Redbird simulator that is used to train flight nurses and provide them real-world practice in the unforgiving and confined environment of a Med Evac Helicopter. The simulator is also used for research that will continue to pave the way for the future of flight nurse training. This visit, I stepped completely out of my comfort zone to learn about the world of flight nursing and moved from the front of the cockpit to the back where there are nurses working to save a life. Before we went into the simulator to work through a scenario, I got to take a look at a flight nurse’s medical bag and learn some basic procedures. The flight bag has to contain everything you would need to treat a patient during transport. It was interesting – so many tools and apparatus in various bags and compartments. Afterwards, I don’t think I could remember what any of it was and can see why it is important for a flight to nurse to be intimately familiar with their equipment and to make sure they have it stocked, restocked, and ready to go. That morning, I then learned some basics about CPR, ventricular fibrillation, and endotracheal intubation, as I was told it may be needed when I get into the Med Evac simulator. My instructor, and real life nurse practitioner and flight nurse, Dave, was great teaching it to me knowing that I came to him with no actual experience. The work in the simulator was fun and unlike drama television, with real professionals, it wasn’t all chaos. In the sim, I became a part of the three-man crew. I was put into a scenario where a patient had recently suffered from a heart attack and needed to be transported from one hospital to another for surgery. During our 15 minute transport, the patient began to have complications from a medicine that was previously administered. What started off as a “routine” transport became busy as we worked to get his heart rate back to normal through chest compressions and then ventricular fibrillation. It was an incredible day and I know that I didn’t even scratch the surface of what the students in this flight nursing program go through. Becoming a flight nurse is no easy task. Typically, you need to have 3 to 5 years of experience as an ICU or emergency room nurse and then additional training and certifications before even considering it. Flight nurses are truly amazing… they have a strong desire to serve, remain calm in less than ideal situations and environments, and embody an “I’m ready to go” mentality. Often times, people are nervous enough as a patient in a hospital, but can you imagine what it must be like to be a patient being transported by helicopter?! The experience as the flight nurse was such a cool thing, but I know for sure that I don’t think I want to have the real world experience of needing to be the passenger patient! 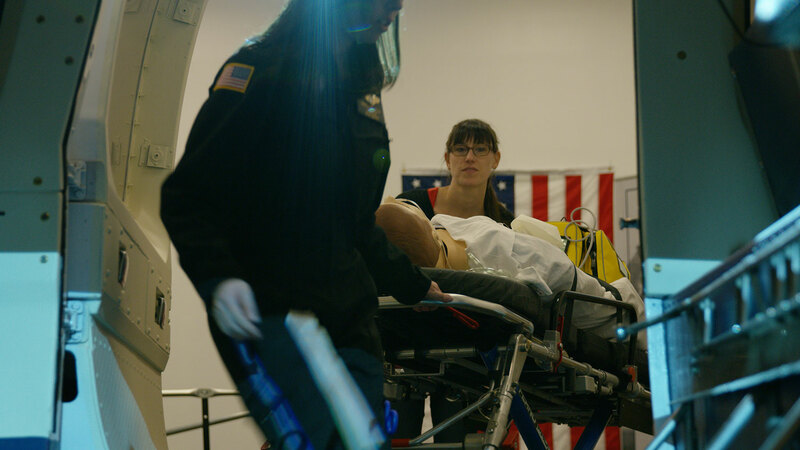 The Dorothy Ebersbach Academic Center for Flight Nursing prepares Acute Care Nurse Practitioner students -- with a specialty in flight nursing -- to care for acute, emergent or critically ill patients in unstructured environments. Constance Brown was at a cocktail party in Cleveland, Ohio with Mary Kerr, dean of the Frances Payne Bolton School of Nursing at Case Western Reserve University. Mary mentioned her interest in acquiring an old helicopter fuselage for the Dorothy Ebersbach Academic Center for Flight Nursing. The flight nurse students had a world-class medical education, but they needed more experience performing life-saving medical procedures in the limited space of a medevac chopper. Constance, an active supporter of the medical community in Ohio, had a great solution to Mary’s problem: “call Joey.” Joey, Constance’s son, happens to be Joe Brown, President of Hartzell Propeller and one of the most respected leaders in the General Aviation industry. Joe took the project on and started making calls, one of which was to Jerry Gregoire of Redbird Flight Simulations. The project became more and more ambitious as the two talked. This one-of-a-kind simulator would need to have a highly accurate interior, provide a fully immersive experience while being simple to operate and very robust. Unlike anything else Redbird had built, the passengers would be the focus of the training, in fact there wouldn’t be any flight controls or even a cockpit. It would be a truly unique machine, built for a good cause. That’s all the convincing Jerry needed. When Joe mentioned the project would be unfunded, Jerry responded by saying “we work so we can solve interesting problems and do neat things” and Redbird was on-board. To help make the training even more effective, Jerry had the idea to mount the hull on the prototype motion platform the company developed for its new helicopter simulator. This new motion system was designed to provide pilots with all the physical cues necessary to learn the notoriously difficult art of hovering, but it would make a great addition to the experience for the flight center students. Plus it was currently a 2,500 pound paperweight since the company had started regular production of its VTO helicopter simulator. After some scouting, the group found a 1973 Sikorsky S-76 in an aircraft boneyard outside of Orlando, Florida. Hartzell purchased the fuselage, packed it up, and shipped it to Redbird’s Austin, Texas factory. On arrival the full scope of the project became clear. This S-76 happened to be sitting on the ground in southern Louisiana when Hurricane Katrina slammed into the coast and was full of mud and debris from its short time as a submarine. The slowly decaying interior was removed and the fuselage was taken down to bare metal, cleaned, refurbished, and repainted. 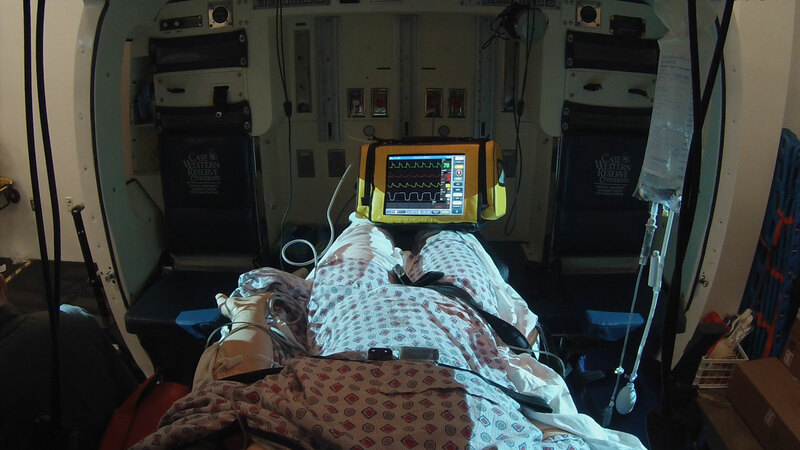 Hartzell provided a functional medical interior for the new simulator and Redbird mounted the completed fuselage on its customized motion system. In addition, Redbird designed a unique, rear projection visual system and paired it with their world-wide terrain and visual database. The result is an accurate visual representation of the outside world that works in conjunction with the motion system to create a highly immersive experience. Once the mechanics of the device were sorted out, Redbird’s developers built a custom version of their simulator control software, Navigator. This custom built hardware-software integration gives the instructors at Case Western the ability to select from multiple scenarios and situations giving their students a wide range of real-world experience before they ever leave the safety of the simulator. 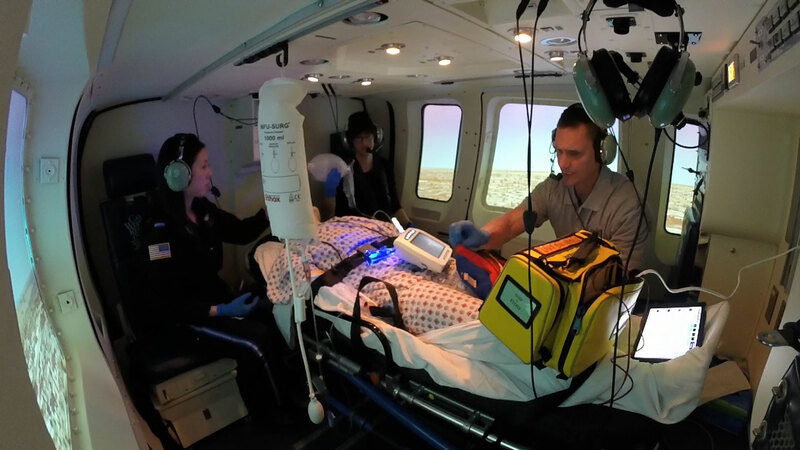 The medevac helicopter simulator at Case Western is a one-of-a-kind training tool that will serve the students at the Dorothy Ebersbach Academic Center for Flight Nursing for years to come. And it all started with a call to “Joey”. Quote reprinted from "Taking Flight on the Ground" the Spring/Summer 2015 edition of think, published by Case Western Reserve University. 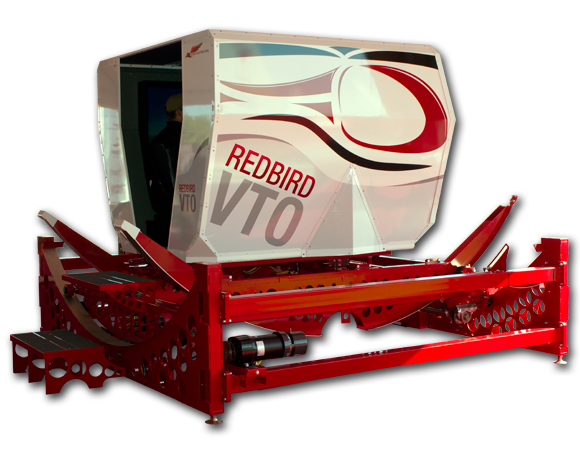 The Redbird VTO is the first affordable, full-motion helicopter simulator on the market designed specifically to help teach complex maneuvers like hovering.